Principal Lori Lambropoulos accepts the Magnet School of America’s Waldrip Magnet School of Merit Award on Saturday, April 13 in Baltimore, Maryland. 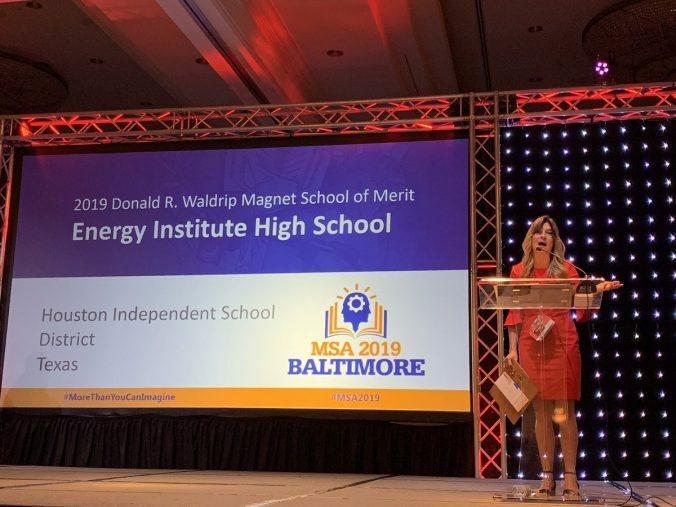 Energy Institute High School has been named a National Magnet School of Excellence by Magnet Schools of America, the national association for magnet and theme-based schools. Energy Institute High School is the first school in HISD devoted to preparing students for careers in the energy field. The mission of the school is to deliver cutting-edge education and to expose students to careers in the energy field. Energy Institute’s vision is to focus on science, technology, engineering, and mathematics while breaking the barriers of the traditional classroom. This entry was posted in Achievement/Recognition, Magnet/School Choice, News and tagged Energy Institute High School on March 26, 2019 by HISD Communications. HISD has launched a new online application system for school choice program transfers, enhancing the process for parents and students. The online application is now available through HISD’s Office of School Choice . It can be used for school transfers in choice programs such as dual language and international baccalaureate, as well as career and technical programs, and many more. It is important to note that this application is not used for any of the district’s Magnet programs. Parents can still apply for Magnet programs through the HISD School Choice website or at www.HISDChoice.com. 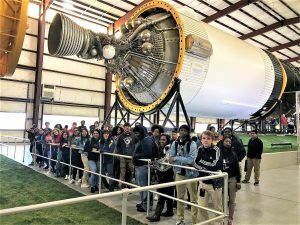 This entry was posted in Magnet/School Choice, News, Parents on January 9, 2019 by HISD Communications. Parents have a wide variety of choices regarding where to send their students to school in HISD, but time is running out to be in the first round of consideration. 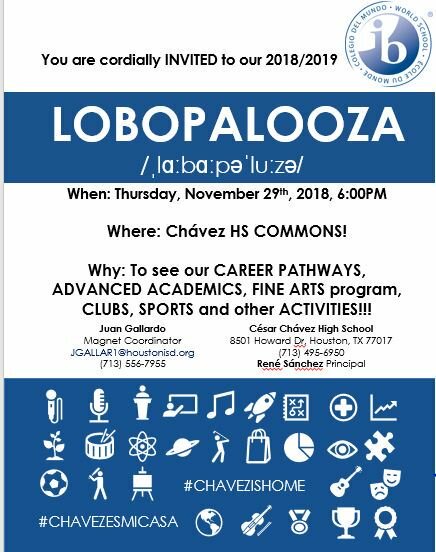 Parents who still aren’t sure which school they want their child to attend next year are invited to the final School Choice Fair from 9 a.m. to noon this Saturday, Dec. 1, at Milby High School (1601 Broadway St., 77012). Representatives from HISD magnet schools will be there, and attendees can get help submitting their application. This entry was posted in Elementary Schools, High Schools, Magnet/School Choice, Middle Schools, News, Parents on November 27, 2018 by HISD Communications.